Here is where I will be posting up some stories from encounters in the field: the good, the bad and the reverse polarity. Here is another tale from ancient times. And NO, I will NOT (on advice of my attorney wife) tell you the name of the artist! There are a lot a crazy theories in our business. Aliens, horoscopes and acoustic alchemy can be found out there on any job site. Sometimes you find yourself on a bus where it seems like everybody else has drunk the Kool-aid. Sometimes you have to take a stand and say “no”. It is not unusual in our business for people at the top of the star pyramid to find themselves surrounded by folks that will go to great lengths to appease them. A culture of “yes” can develop that can lead down some interesting roads. In this particular case, somebody (this happened years before I arrive on the scene) had given “the artist” a technical explanation as an attempt to deflect the reality of the situation away from actually making it sound better. The artist was informed that she needed to use Brand X speakers because, like her voice, they crossed over at 800 Hz. It was critical, she was told, that the speaker and human crossover frequencies be matched. Yes, I typed that correctly. I am creative but I can’t make up stuff like that. It might have been expected that this nugget of nonsense would be forgotten by the end of the day, but no. It carried on for years, passing without dissent from people that knew better. The folly even featured Brand X logos being spray-painted on the Meyer UM-1 cabinets they were using to keep from having to someday come to the reckoning of this scheme. Now that the show was on the road, a new sound company was involved and they took up residence in San Francisco’s Curran Theater. We got the panic call at Meyer in Berkeley one afternoon. We were told it sounds bad and we need to fix it or they will get another company’s speakers. We all know that if it sounds bad, it HAS to be the speakers. After all, that’s where the sound comes out. So weI head over with the SIM analyzer and the crew explained how bad the echo was in this room. It was bad. Wow. Much worse than I had ever heard it there. Hmmmmmmm….. The mix position was in a small room at the back of a deep balcony, so the mix was being done on delayed speakers. Indeed the echo was horrendous at the mix position –and quite amazing – since it got there BEFORE the direct sound. Magic? Not quite. The delays (both over and under the balcony) had all been set by estimating the distance, and putting an approximate value into the delay lines. A small problem. There was a decimal point on the DN716 display that they had not noticed. It was not set to 80ms as they thought, yeah, you got it….. 0.80 ms. This was the case for ALL of the delayed speakers. So you can imagine how much the hall reverberation went down when we set the delays correctly. Cheapest and fastest plaster removal service in the world! After the system was properly tuned we set to work on “the artist’s” mic. It was here that we first invented the technique for tuning a body mic placed on the actor, using their own voice as the source. The technique involves taking a transfer function measurement of the difference between the electrical signal in her mic cable and a B&K 4007 mic placed a meter or so in front of her She would talk through the various voice sounds of the show and the response of her chest-mounted lav mic would reveal itself on the screen. This technique is still applicable for any body mic. We traveled together and did various venues over the next months. Somewhere along the way I was told of the great crossover fable and warned to steer clear of the issue should it arise. The fear was that if the actual crossover frequency were to be revealed she would make us take down the PA. I made no promise to play along. It was just another day of mic check and things were pushing along unhappily. What’s up? What changed? Did you do something different? All the usual questions artists ask to technical people who know NEVER to change anything when they know this question will be asked. The silence was deafening. Pause. “1200 Hz”, I replied. Five people ducked under their seats. I walked up to the stage in order to address this directly and privately. “Well, thanks”, she said. “That never made any sense before anyway. I knew everybody was bullshitting me on that”. The soundcheck continued after that (with much fewer people in the room), focusing instead on what might REALLY be happening, instead of chasing ghosts. The lesson for me was to stand my ground in factual matters, especially those where others count on me to be knowledgeable, even in the face of a very uncomfortable situation. An artist is not an engineer or acoustician. She, like so many others, depends upon us to interpret their artistic perspective into the realities of the physical, mechanical, acoustical, electrical world in which we are (hopefully) the experts. By stopping the insanity, I traded a moment of considerable discomfort for a continuing relationship built on mutual respect. If you know it to be true. Say it……diplomatically, and appropriately and things will sort themselves out. If the truth is not palatable to others then so be it, and we can all move on (together or separately) from there. Most of life’s lessons come from making a mistake and then going back later and finding out what happened, and what you would do the next time. In my case many of the best system tuning lessons were learned from the most embarrassing disasters. But there are also lessons to be learned about how to be right: the delicate balance of showing the client the error in their methods, without cornering their ego or embarrassing them. This is the art of tuning diplomacy. 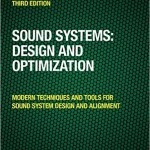 This was VERY early on in the world of tuning sound systems with FFT analyzers. John Meyer and I had a couple of Rush concerts under our belts and had been allowed to measure (but not tune) Frank Zappa’s sound system. John had a long-standing relationship with Don Pearson of UltraSound and Dan Healy, the Dead’s house mixer. I was the new kid on the block but had already begun to establish myself as the hands-on person with the analyzer, bringing into view whatever John wanted to see. This was a two-day series of concerts. The first day we established the ability of the analyzer to see the frequency and phase response at a detailed level that Pearson and Healy had never seen before – all this DURING the concert. We stayed for hours afterwards and ran tests that further increased their comfort levels. Tomorrow we would really push forward. The show began and our data revealed a substantial dip at 100 Hz. A steady and unwavering 10 dB hole. The question started bouncing around the booth about the subwoofer polarity. It certainly looked like a subwoofer polarity reversal to me and I went on record to that effect. We had just seen this same response the previous week with Frank Zappa. Because the Zappa folks did not want any changes to their system, we simply observed it and moved on. But this was different. There was interest in testing the theory, and it did not take long before a pair of polarity reversal barrels appeared in Dr. Don’s hands ready for action. Once the current song finished the inverters were put in line and we anxiously awaited the next song. As the band got into gear we could see the 100 Hz range fill in perfectly, the phase straightened out and the coherence improved. It was an unforgettable moment of joy for me to see theory become tested and proven while the band roared on. It was at this point that I fist-pumped “Yes! !” (like an athlete that just scored) and then suddenly realized that I was COMPLETELY alone in my celebration. OOOPS! Don Pearson had a very slight grin on his face, Healy looked away in dismay and John Meyer’s face said to me “I might have to kill you!” What happened??????? It was revealed on the way home that there had been a long-standing (several years) dispute between Healy, Pearson and John about the sub polarity. Healy was the client, so things went his way. So be it. Various theories were postulated but the bottom line was, he preferred mixing with the subs reversed. But now that the SIM analyzer had arrived on the scene there was the opportunity to test the sub/mains crossover objectively and see which orientation gave the best acoustic addition. Little did I know at the time that there was a lot of ego riding on the outside of those polarity inversion barrels when they went into the sound system. On that September day 25 years ago, I might have said to Dan Healy “It appears to me that the subs are polarity reversed and we are losing about 10 dB at 100 Hz. What do you think we should do?” Most likely we would have come to the same technical conclusion, but the diplomatic path would have been different.